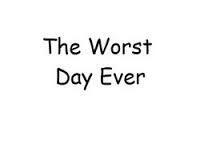 WORST DAY IN FEDERAL PRISON? I sat around with the PPDS (Pensacola Prison Discussion Society) on election night discussing the election returns. Most prisoners are Clinton fans because they believe that she is an advocate of prison and sentence reform. I have learned to keep my political views to myself in prison to avoid conflict with others. We grew tired of the political commentators and the subject drifted to our worst day in federal prison. The stories were all over the map. Tim talked about the day that he was selected for a random drug test. He was called over to control and told to urinate into a cup in front of the corrections officer. He froze. The problem with freezing is you have 2 hours to urinate. If you fail to provide a sample in 2 hours, you are deemed a refusal and are subject to an incident report (shot) and you are sent to the special housing unit (SHU). As the 2 hour mark approached, Tim was desperate to urinate but was still unable to do so. The time expired and Tim thought He was headed to the SHU. The corrections officer gave him an unexpected 30 minute extension. Tim did finally manage to provide a sample and pass his drug test. He said it was his worst day in prison as He was under terrible pressure. 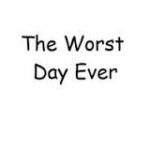 I thought about my worst day in prison. My first night in Jesup was awful. I was semi-terrified and did not know what to expect. I did not fall asleep until 4:00 a.m. I just laid there. thinking about my poor choices and the consequences that I created for myself and my family. I was sick to my stomach. There have been other bad days in prison. The day another large prisoner threatened to beat my _ _ _ because I placed my chair in his spot on the patio. I also remember my night in the SHU where I was sent before my surgery. My room was disgusting. It was filthy, full of bugs and the mattress was paper thin. The guy next door screamed until 3:00 a.m. Each minute felt like an hour. It was one of the longest nights of my entire life. 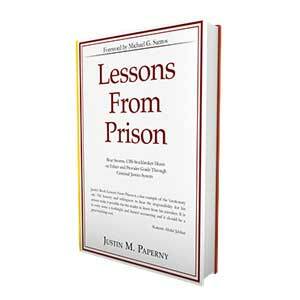 However, my worst day in prison does not involve something that happened to me in prison. My worst days involve talking to my wife and my son and discovering that they are struggling with a financial or emotional issue. I immediately realize that I am not with them to help them through it. I have abandoned my role as a father and husband by making poor choices which led to my prison sentence. My family attempts to hide the hardships they are facing but every now and then they cannot hide their struggles. On those days, I get off the phone and sit on my bunk and ask myself the rhetorical question “How could you have been so stupid to end up here? ” I do not like the answer to that question! My worst days in prison are when my family is suffering and there is very little I can do about it.